Rummage in some boxes of my favourite record store I found a cover that made me curious. 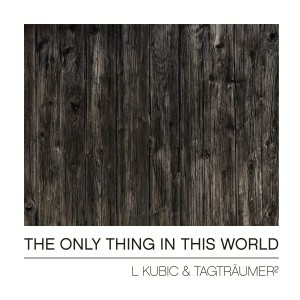 L Kubic & Tagträumer² – The Only Thing In This World and on the flipside a remix by Alle Farben. When placing the needle at the beginning of the vinyl the first sounds were very strange. I thought that must be a record from the 60s lost in the tech-house box but than a straight beat turned everything different. A piano melody slowly sat down firmly in my ear and I was longing to know where the journey takes me. After a while an Acidline pushed everything and I was sure at this time this is not a normal 4/4 tech-house record. Alle Farben remixed the themes very playful and I heard that he gives the elements more pressure for the club. So at the end I bought this one and I cannot imagine taking this unique record ever again out of my record case.